Shadowhunters Character posters | Magnus Bane. . HD Wallpaper and background images in the Shadowhunters TV Zeigen club tagged: photo shadowhunters tmi character posters season 1 abc freeform magnus bane harry shum jr. 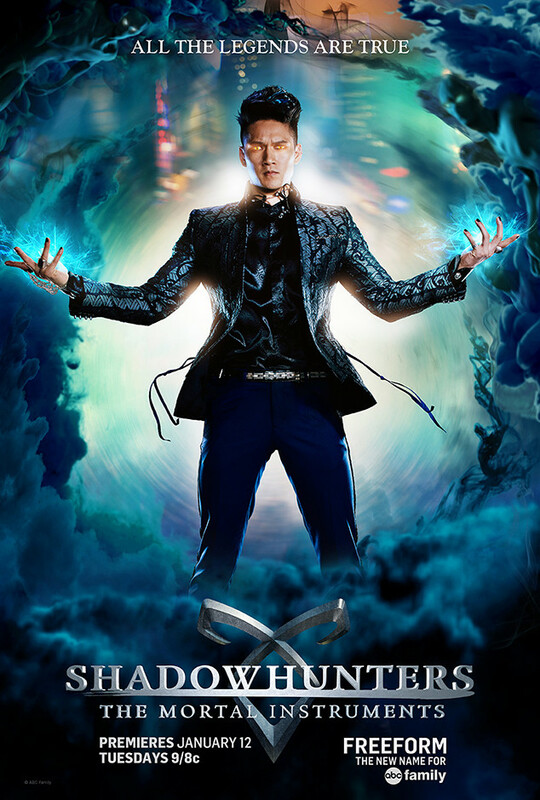 This Shadowhunters TV Zeigen photo might contain anime, comic, manga, cartoon, comic buch, karikatur, and comics.